The weather up here in New England can be particularly tough on the exterior of your home at times, and when your home winds up suffering damage from storm, high winds, hail, or any other particularly harsh events. Taking the necessary steps to ensure that your home is protected from further damage is extremely important. It is a very serious issue when your home suffers damage from a storm, as it both compromises to the security and the structure of your home overall. By leaving the damaged portions of your home in their damaged state for too long, you could quickly find yourself facing mounting damages and repair costs as the damage spreads to other areas of your home, especially if you have any kind of water damage. You and your family count on your home to keep you protected from the elements, and by following these four steps in the event that your home suffers damage from a storm, you can both minimize the damage and the overall impact upon you and your family. If you think the exterior of your home has suffered damage of any kind, the first step in making sure you get the repairs you need is to confirm that there is actually damage to repair. 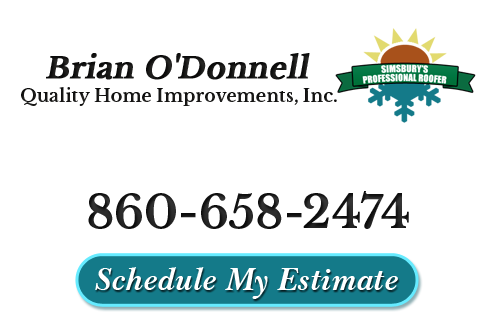 You will want to thoroughly inspect the exterior of your home, or better yet, hire a professional to do so for you. This will help to gain a thorough understanding of just how significant the damage to your home is and what repairs are going to be needed to get everything back to the way it should be. It is important that you leave any inspections until after the storm has passed fully so that they can be performed safely and that there is no risk of injury during the process. Once the storm has passed, it is always helpful to call in a professional to perform your home inspection, as they will have the experience to know where they need to look and some of the more common problems that might beneath the notice of an untrained eye. If you do wind up coming across damage to your home's exterior or roofing, the next step you are going to want to take is document your findings. 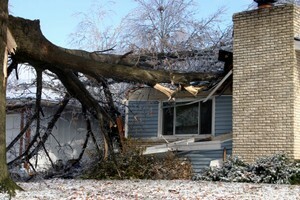 Many storm damage professionals will help you with this process if you ask them. Having photos or videos documenting the extent of the damage, and the probably causes will be of great help during the next step. When you have the damage to your home properly documented, it is time to contact your insurance company. If your homeowner's insurance covers damage caused by storms, you are going to have to make sure you have all of the proper paperwork filled out before they will actually cover the repairs. Having thorough documentation is extremely helpful at this point as it leaves very little to question about where the damage came from. If you haven't undergone this process before, most contractors will be able to offer you tips and suggestions about how to get through the process efficiently. Finally, you are going to want to make sure that you don't hesitate when it comes time to getting the repairs you need for your home. Having any damage repaired quickly will greatly minimize the chances of your home incurring additional damage as a result. Leaks in your homes siding or roofing can lead to serious damage in other areas very quickly, and can even result in the need for a complete replacement. So don't hesitate to contact your Farmington Valley roofing contractor. If you are looking for a professional roofing contractor in the Farmington Valley area, then please call 860-658-2474 or complete our online request form.